India-gate. The grand and impressive India gate is situated in the heart of the city New Delhi. 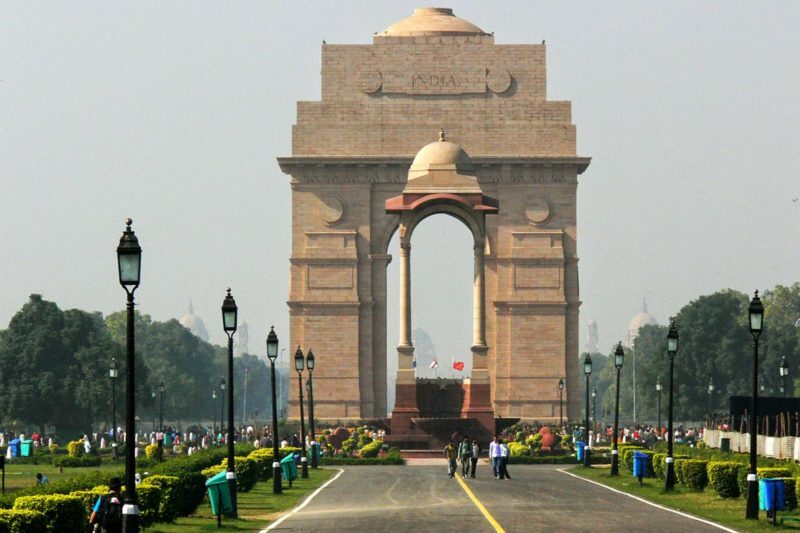 Located on the eastern part of Rajpath, this was built as a mark of respect to the soldiers killed in World War I and the third Anglo Afghan war. Names of British and Indian soldiers have been engraved on the monument as a mark of respect. Located at the centre of New Delhi, India gate is not only a historical monument but also a relaxing place for locals. Tourists throng to this place and enjoy the road side eateries and the long walking stretch between Rastrapathi Bhavan and India gate along with the beautiful lawns surrounding the monument. A 42 metre tall India gate was designed by Edwin Lutyens. Like the Cenetoph in London the All India war memorial is free from any religious tag. It is built in red sand stone which rises into a shallow dome. The foundation stone was laid way back in the year 1921 by the then visiting Duke of Connaught in a military ceremony which was attended by Indian army and imperial service troops. The commander in chief and the viceroy lord Chelmsford also attended the ceremony. The ceremony honoured the many with the title ‘royal’ for their distinguished services rendered during the world war. Some of those who were honoured are the Deccan Horse, 6th Jat light infantry, 36 Rifles,59th Scinde Rifles, 5ht Gurkha Rifles and 3rd scrappers and miners. In 1931 it was inaugurated by Lord Irwin. Every year republic day parade which starts from Rashtrapati Bhavan passes along Raj Path and ends at India gate. The Prime Minister of India, the President of India and heads of three armed forces (Army/ Navy and Air Force) pays respect at the departed soldiers at the India gate on the eve of Republic Day. India-gate is filled with inscriptions. At the top of the India gate one can see the ‘India’ on both the sides of the arch. Below the word India the following passage is inscribed in capital letters. “TO THE DEAD OF THE INDIAN ARMIES WHO FELL AND ARE HONOURED IN FRANCE AND FLANDERS MESOPOTAMIA AND PERSIA EAST AFRICA GALLIPOLI AND ELSEWHERE IN THE NEAR AND THE FAR-EAST AND IN SACRED MEMORY ALSO OF THOSE WHOSE NAMES ARE HERE RECORDED AND WHO FELL IN INDIA OR THE NORTH-WEST FRONTIER AND DURING THE THIRD AFGHAN WAR”. All other parts of India-gate is fully inscribed by the names of the soldiers or regiments of armies which fought in war and who laid their lives. Present below the India gate is the Amar Jawan Jyoti. The Amar Jawan Jyoti is design by a self loading rifle kept in reverse direction with a cap or helmet worn by soldiers. It is surrounded by four urns which keeps burning permanently fuelled by CNG. This was constructed as a mark of respect to soldiers who were killed in the liberation of Bangladesh in the year 1971. It was inaugurated by the then PM of India Indira Gandhi. 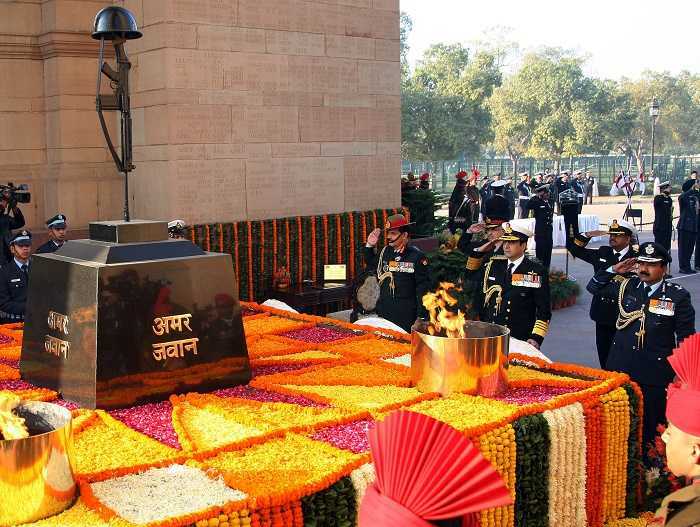 Every year during the republic day, The Prime Minister of India along with the three heads of the Indian armed forces pays tribute to the soldiers before the parade. 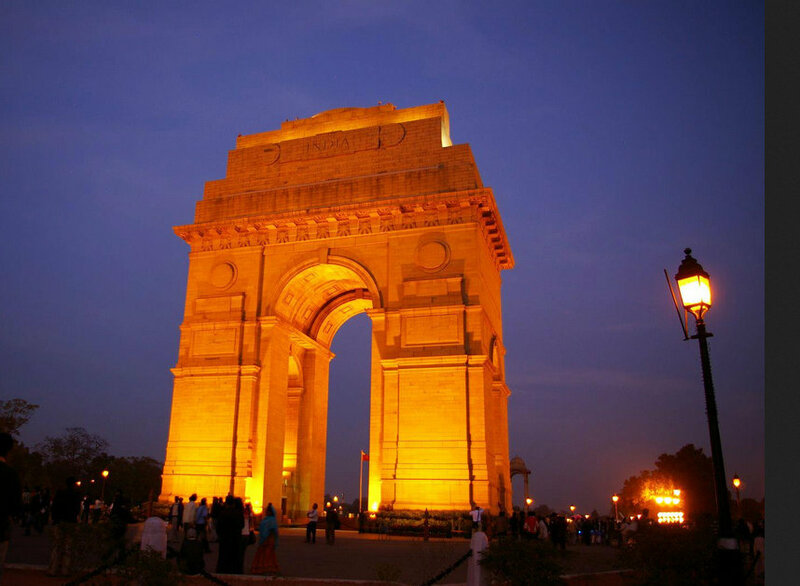 India gate is a best place for Delhiites to spend some leisure time in the evenings. It is also known as ‘All India war memorial’. Best time to visit” evening 7-9pm.